It's time to get the block rockin' with the V103 Summer Block Party! 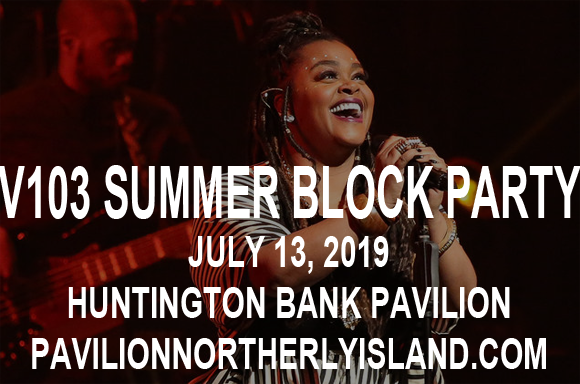 Featuring headlining sets from the goddess that is Jill Scott, platinum-selling R&B singer Anthony Hamilton, "Feel So Good" rapper Mase & R&B chart-topper Carl Thomas, this year's block party is gonna be wall-to-wall hits! Get your groove on at Huntington Bank Pavilion at Northerly Island on Saturday 13th July 2019! Platinum-selling American singer-songwriter, model, poet and actress Jill Scott began her career in the late 1990s as a spoken word artist. One of her live performances captured the attention of Ahmir "Questlove" Thompson of the Roots, who invited her to join the band in the studio, resulting in a collaboration that led to the song "You Got Me". "You Got Me" was released by Erykah Badu and the Roots in 2000, and won them a Grammy for Best Rap Performance by a Duo or Group. Scott released her debut album Who Is Jill Scott? Words and Sounds Vol. 1 in 2000, launching the single "A Long Walk", which brought her chart success and earned her first Grammy nomination. She has won three Grammy Awards to date, from nineteen nominations, and has released five studio albums. Scott's most recent album, Woman (2015), debuted at number one on the Billboard 200 Albums Chart, selling 58,000 copies in its first week.